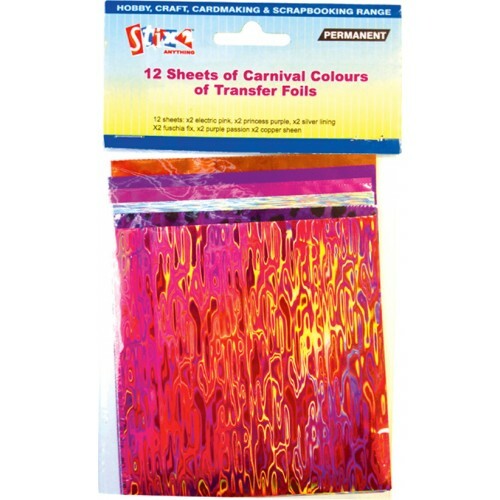 Transfer foils are a great way to add colour to your craft projects. 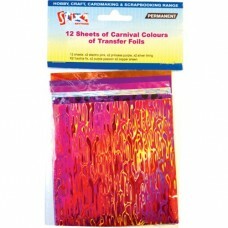 The colour of the foils transfers from the dull side of the foil when pressed on to a sticky surface. Can be used to decorate all kinds of double sided adhesives. Ideal for use with Stix2 ultra sticky clear tapes & sheets. Foam shapes, foam pads and may others. Always apply dull side of the foil to the adhesive surface. Easy to use and mess free.